BSNL have contracted NEC to install and implement an optical submarine cable system between Chennai and Andaman and Nicobar Islands. The cable system will run for 2,300km and carry 100Gb/s optical waves. 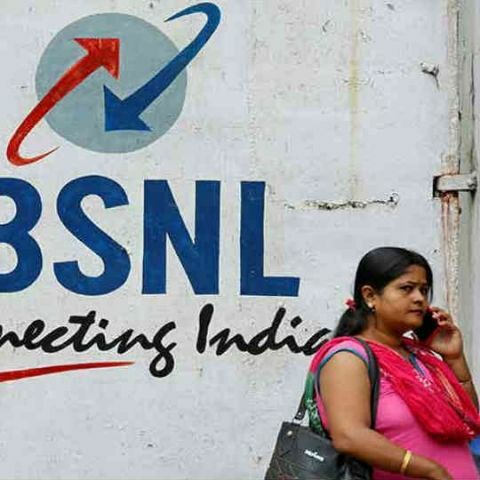 BSNL has placed an order with NEC, a Japanese IT infrastructure company to design, engineer, supply, install, test and implement an optical submarine cable system that will connect Chennai and the Andaman and Nicobar Islands. The system will include a segment with repeaters from Chennai to Port Blair and seven other segments without repeaters between the islands of Havelock, Little AndamanCar Nicobar, Kamorta, the Great Nicobar Islands, Long Island and Rangat. The total cable length will be approximately 2,300km and carry 100Gb/s optical waves. New Delhi, India and Tokyo, Japan 11 July, 2018 – Bharat Sanchar Nigam Limited (BSNL), a Government of India Enterprise, and NEC Technologies India Pvt. Ltd. (NECTI) announced today that a purchase order has been placed by BSNL for NECTI to design, engineer, supply, install, test and implement an optical submarine cable system connecting Chennai and the Andaman & Nicobar Islands (A&N Islands). NEC Corporation (TSE: 6701), the parent company of NECTI, will manufacture the optical submarine cable and provide technical assistance during the turnkey implementation. "Connecting the A&N Islands to the Indian subcontinent with an optical submarine cable has been a long-time aspiration. NEC is extremely proud of being chosen by BSNL to serve these islands with its cutting edge submarine cable solution, which promises to bring the A&N Islands much closer to the world,” said Toru Kawauchi, General Manager, Submarine Network Division in NEC. “Together with NECTI, our local Indian affiliate, we intend to fully capitalize on our regional expertise and to ensure the successful completion of this project”. About NEC Corporation: NEC Corporation is a leader in the integration of IT and network technologies that benefit businesses and people around the world. The NEC Group globally provides "Solutions for Society" that promote the safety, security efficiency and fairness of society. Under the company’s corporate message of “Orchestrating a brighter world,” NEC aims to help solve a wide range of challenging issues and to create new social value for the changing world of tomorrow. For more information, visit NEC at http://www.nec.com.